A thick, preservative-free, award-winning, gourmet sauce made from all-natural ingredients that “sticks to your meat” and has a “sweet with the right amount of heat” attitude! Voted “Best Baste on the Planet” and People’s Choice at the prestigious American Royal. 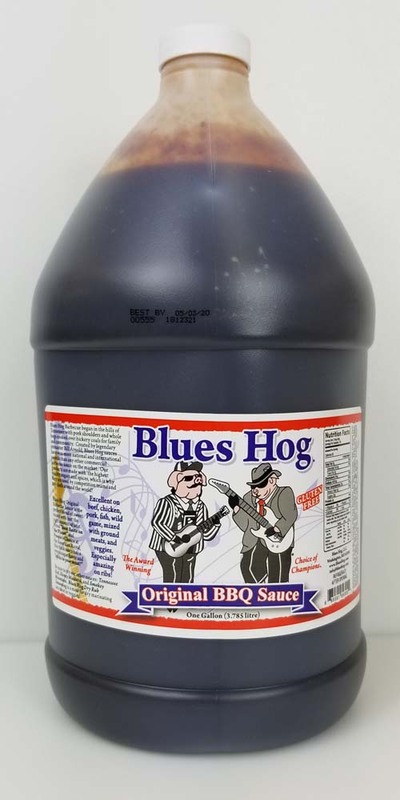 Excellent on pork, beef, wild game, fish, hot wings, mixed with ground meats, veggies, and especially on ribs. 1 gallon.